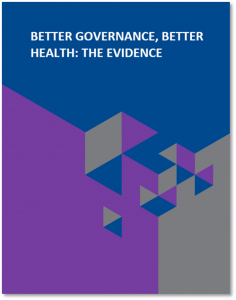 Resource Description: While the importance of governance in a health system is well recognized, there is an overall lack of evidence and understanding of the dynamics of how improved governance can influence health system performance and health outcomes. There is still considerable debate on which governance interventions are appropriate for different contexts. This lack of evidence can result in avoidance of health governance efforts or an over-reliance on a limited set of governance interventions. As development partners and governments are increasing their emphasis on improving accountability and transparency of health systems and strengthening country policies and institutions to move towards universal health coverage (UHC), the need of this evidence is ever rising. To address this evidence gap, the USAID’s Office of Health Systems (USAID/GH/OHS), the World Health Organization (WHO), and the Health Finance and Governance (HFG) Project launched an initiative in September 2016 to ‘Marshall the Evidence’ on how governance contributes to health system performance and improves health outcomes. The overall objective of the initiative was to increase awareness and understanding of the evidence of what works and why in how governance contributes to health system performance, and how the field of health governance is evolving at the country level. 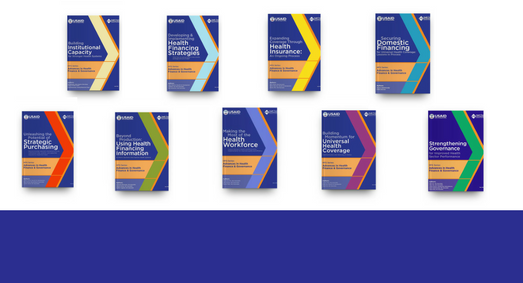 Through the initiative four thematic working groups (TWGs) consolidated evidence from literature reviews and key informant interviews from low and middle income countries in selected areas to develop five reports. The reports have been consolidated into this compendium.